I'm excited to participate in the Virtual Book Club again this month! I'm in love with this idea of focusing on an author, reading lots of his/her books, and creating an activity to go along with one of those books. I hope you're checking out some of the other ideas that various bloggers share. I'm continually amazed at the creativity of some people and wish I had more time in my day/week to be able to try out all of the wonderful activities with my kids. David Shannon is the author for April. While I can't say that I fall into the No, David! fan club (I think my boys already come up with enough bad ideas on their own...), there are many of his books that I sincerely enjoy. This month, we checked out several that we'd never read before. 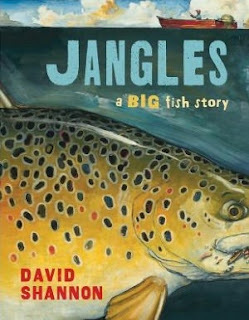 I happened to love A Bad Case of Stripes, but there was no question that the all-out favorite for Aaron and Max was Jangles: A Big Fish Story. I can't tell you how many times they've requested this book. Luckily, we had some family visiting last weekend so we were able to coerce some new readers for this book. 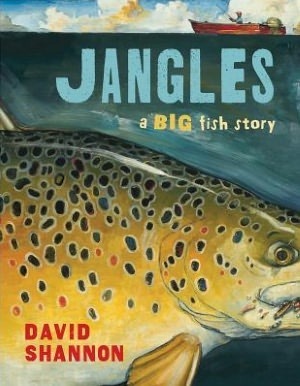 Jangles is a big fish--"the biggest fish anyone had ever seen." He got his name from all the lures and fishhooks embedded into his jaw from the times someone had almost caught him before he broke the line and got away. Because Jangles always got away. Until one day when he chomped a boy's fishing line. 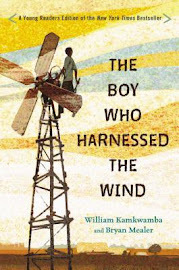 (Incidentally, "the boy" is the father of the narrator, who is telling one of his father's childhood stories.) Jangles pulls on the line and takes the boy to his home underwater where he tells him stories from the beginning of time. When the boy finally decides to go home, he just can't let Jangles, the uncatchable fish, go free. No one would believe that he'd actually caught the huge fish. He battles with his conscience, finally deciding to let Jangles go, and Jangles gives him a wonderful parting gift. As the title suggests, this is a "big fish" story. It contains a glimmer of truth, but mostly, it gives the impression of being retold and stretched, retold and stretched many, many times. Many unbelievable things happen to the boy (not the least of which is the idea that he can still breathe underwater), but the whole time you're wondering, Did he really catch Jangles, or was that just made up, too? 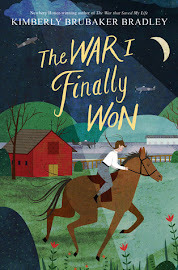 Aaron and Max couldn't decide on the answer, and I think it was that blurriness between truth and fiction that made this story especially appealing to them. 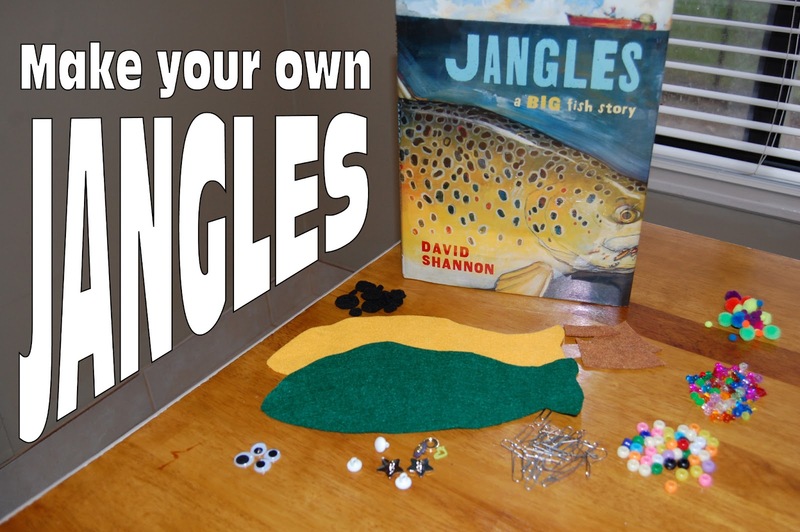 After reading the book (several times), I thought the boys might like to make their own Jangles and come up with their own big fish story. felt, various colors, for making fish, fins, spots, etc. Then I used the hot glue gun to attach a googly eye and some fins. The Jangles from the book has spots. At first, I thought we could simplify and leave off the spots, but then Aaron said, "And I want his spots to be black" as if there was not even a question about whether or not he would have spots, so I cut out a bunch of black spots, as requested. They laid out the spots how they wanted them, and then I glued them on. Then we added the "jangles"! We unbent a paper clip, and the boys added beads, buttons, etc., to turn it into a tempting lure. Then I helped them poke one end of it through the bottom edge of the fish and gave it a twist so it wouldn't come out. But what is a fish without a story? A few days later, I sat down with Aaron and had him tell me all about Mike. Even though he makes up dozens of stories when he is playing, this "telling-a-story-and-writing-it-down" was a new concept for him. He needed a few promptings/suggestions from me to help get him going, but he quickly caught on. 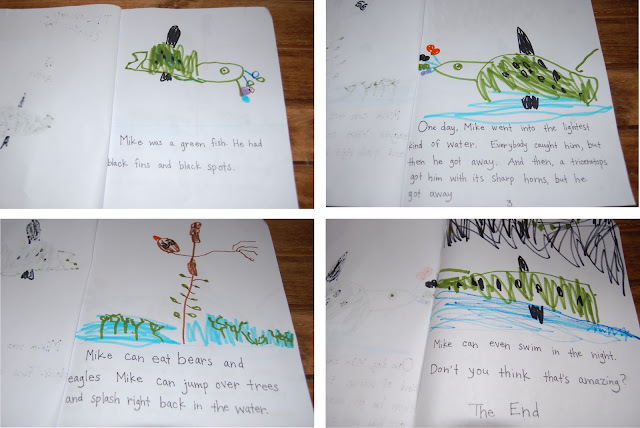 He especially liked drawing the pictures to go along with the story. Naxty destroys people's cups and spiders. Naxty has a bad skin. If you touch it, it could kill you. Naxty has a bad dot on him. So if you touch his dot, it could break off your hand. If Naxty eats bad food, he will not die. He really eats bad bats. This probably seems totally random and even a little bit ominous and violent, but it's not quite as weird as it looks. I'm pretty sure Naxty's "bad skin" was inspired by the poison dart frog, which we read about just the other day and which really does have poisonous (i.e. "bad") skin. We were also recently reading about a snapping turtle, which, you may recall, has the strength to bite off a person's finger. I think this is why Naxty can "break off your hand." As to Naxty's other attributes, I'm just as clueless as you are. Even though we didn't do anything fancy for these books (just white copy paper stapled together), Aaron and Max are so proud that they made up the words and drew the pictures. They feel like real authors/illustrators, especially when they can add their book to the stack of books at bedtime, and I read them right alongside Eric Carle or Jan Thomas or even David Shannon! What a wonderful set of activities! I love the craft, but I love the stories they dictated to you even more. Fantastic! Thanks so much! I agree--the stories are what I will keep and file away. I love the activities for this one. 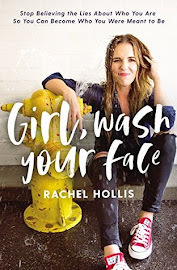 I can't believe I haven't seen this book yet! David Shannon is one of my daughters' favorite author/illustrators. O this sounds great. I LOVE the activity you added! What a great activity! The Great Story of Naxty is sheer brilliance. I love your fish and the stories your boys wrote. So cute! I love that you incorporated writing their own stories into the experience. They will make wonderful keepsakes. Also, excited to find your blog! I LOVE that Aaron wrote his own story! I am completely unfamiliar with this book. I am also not a No, David fan, but I do want to read this one now. Thanks for sharing at The Children's Bookshelf. wow you have done a really a great job. such kind of things need lot of motivations. My name is Amy. I read to myself, my five young sons, and occasionally, my husband. I read to relax, be inspired, and learn new things. And I talk about what I read to just about anyone who will listen...that's you! Disclosure: I am an Amazon affiliate, so some links are affiliate links. If you make a purchase through one of these links, I will receive a very small percentage of the purchase price. It won't change the cost for you, and it helps this blog stay in business. Thanks! Currently Reading Aloud . . .